Give your bath a complete makeover with the Curved Double Panel Bath Screen. It is elegant with a curved top and features effective seals along the bath. Simple, yet graceful, this affordable bath screen can easily be installed in any bathroom. The Curved Double Panel Bath Screen features a height of 1400mm and has a width ranging from 975-1000mm. It is equipped with a high-quality frame in an attractive polished silver finish. This bath screen will perfectly blend in with the décor of any contemporary bathroom. 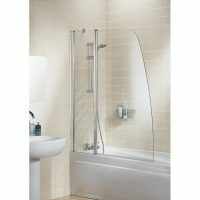 The Curved Double Panel Bath Screen is a superior product offered by Lakes Bathrooms. It is constructed using toughened 6mm safety glass with a unique AllClear coating. 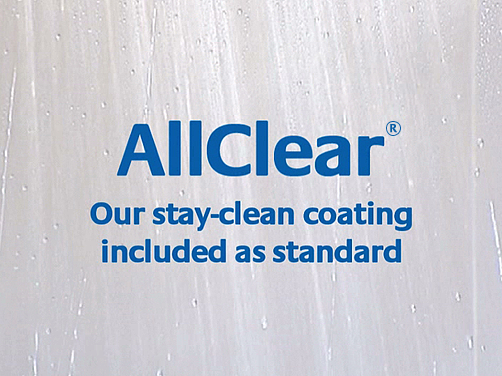 This makes this bath screen stain resistant and incredibly easy to clean. Moreover, the glass panel of this bath screen is completely reversible and is designed for an easy fit. Lakes Bathrooms offers a solid lifetime guarantee on this product. 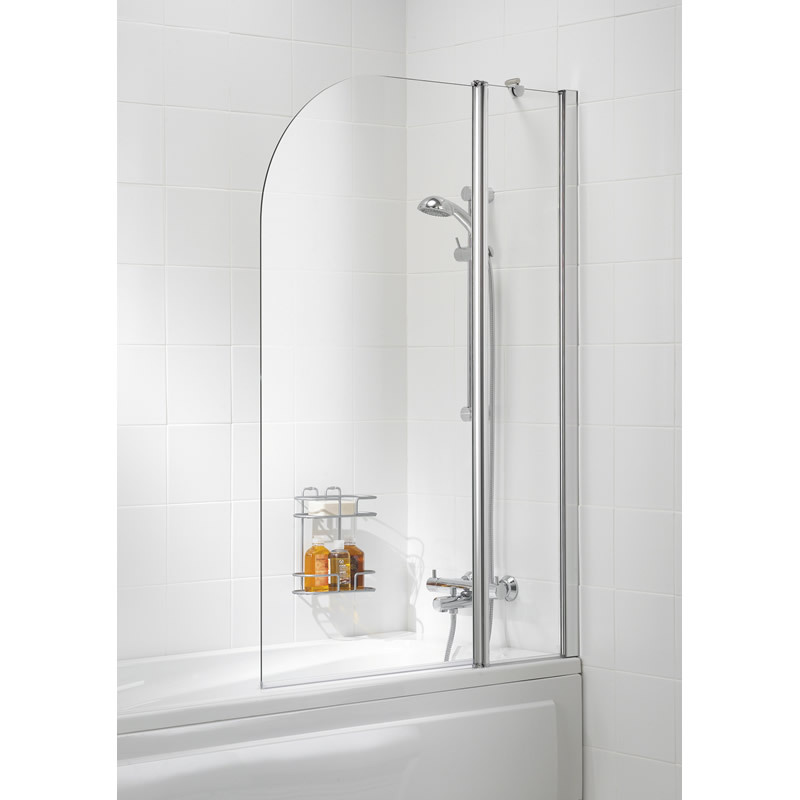 Create the perfect bath shower enclosure with the Curved Double Panel Bath Screen. For a top-grade product, it is available at a surprisingly affordable price. So, buy this product at the lowest price from Ross’s Discount Home Centre today!